I confess: I bought another matchbook cover. It led me to the tale of a once-charming suburban Portland dinner house on Barbur Boulevard, in what today is the sprawling city of Tigard. Cathryn’s Dinners first came to my attention when I ran across it in a 1946 edition of Adventures in Good Cooking (Famous Recipes) and the Art of Carving in the Home, by Duncan Hines. 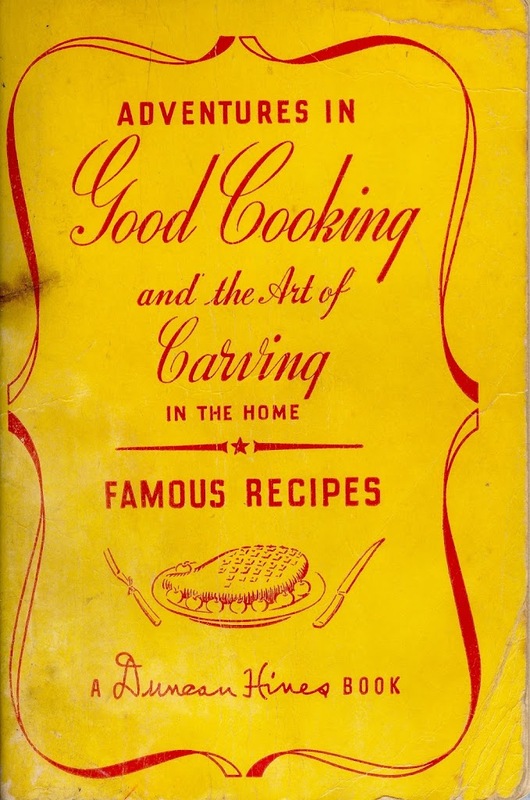 A spinoff from Hines’ famous Adventures in Good Eating, which reviewed restaurants across the nation, this book was a compilation of recipes from many of those anointed restaurants. Two recipes from Cathryn’s were included in it, one for hot toasted cheese hors d’oeuvres and one for a chocolate fudge upside down cake. The matchbook showed up on eBay. Now I knew what Cathryn’s looked like and approximately where it was. 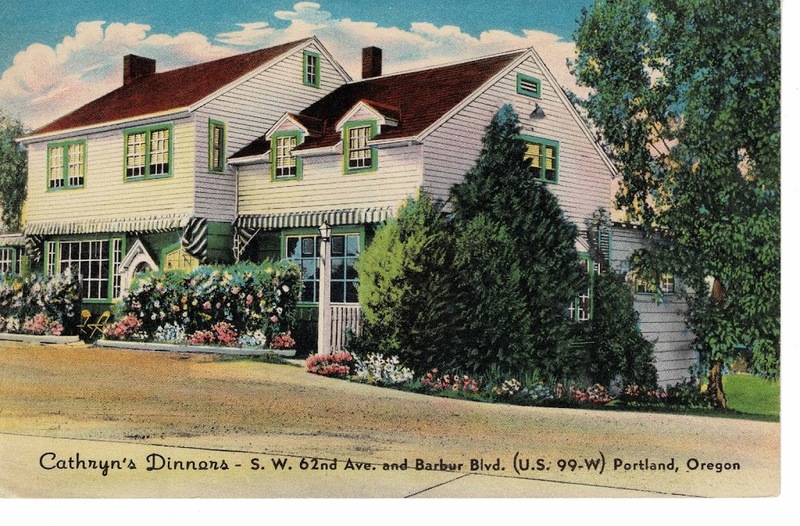 A search of the Portland Oregonian online revealed that the restaurant, specializing in chicken and steak, was opened in 1937 by Kathryn Pettengill. Mrs. Pettengill was born in Massachusetts in 1888, and came to Portland with her husband, William, in the early 1920s. Before opening Cathryn’s, she had worked as a hostess at Nendel’s, a noted suburban dinner house on Canyon Road. She sold Cathryn’s in 1946 and soon opened another restaurant in Oak Grove, southeast of Portland, called Kathryn’s. The next year, Kathryn Pettengill died from a fall down the stairs at the restaurant. Remove crusts and cut in 1-inch squares. Place a spoonful of mixture on each piece. Top with thin strips of bacon. Toast in 450 F. oven until brown.